Any band wants to generate some income, even if it is to cover travel expenses to gigs or to pay for a spare snare skin or set of guitar strings. Of course, the mainstream signed acts, with the power of a major label behind them, will have a significant marketing team who not only promotes their performers, but helps to monetize their merchandising, too. For unsigned acts, and those who are just starting out on their musical journey, generating a level of income may seem far-fetched. However, you should not be put off trying to make money because it certainly can be done. Usually, unheard of acts with no big name draw will only make modest amounts of cash, but it is all about building momentum in the music industry. Remember that all of the big musical stars of today started out from nothing initially. Okay, so some had lucky breaks and others pushed through on sheer talent, but there is no reason to think the same thing cannot happen to you. Today, YouTube is a priceless platform for musicians to make themselves known and you may already be using it for promotional purposes. Nevertheless, bands and singers should never overlook the money-making potential of the site. Here are some steps to help you get started with making money on YouTube. Although there are other video and music sharing platforms out there, YouTube is by far the most widely known, so switch to it. All you need is a few minutes to create a user account. Begin by creating your own channel where all of your video content can be found in one place. Even if you only have one video, create a channel which other YouTube users can subscribe to so that they are notified of any future uploads. 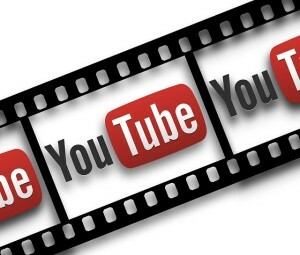 When you run a YouTube account or channel, you are given the option to monetize content. This effectively means that YouTube will credit you for the number of plays you receive. The more buzz you get, the more money you will earn in essence. This means that your content must be as watchable and listenable as possible. Basically, advertisers pay to have banners under your video or short ads run prior to your video being shown. YouTube give their content providers a small cut of this revenue, but you need to have your videos watched in large numbers before you will see a penny. If you have uploaded a video, don’t expect people to be able to find it simply by searching for your band’s name and the name of the track. In many cases, this simply won’t be known. Add tags to your video such as acoustic, original, keyboard, jazz, rock or vocals so that your video is more likely to be returned in a search made using Google or YouTube. When uploading a video, it is easy to add these tags as the content is being received by the website. When you upload a video, your channel subscribers will be notified by email but this does not necessarily mean they will watch it. Remember to announce new video releases at every given opportunity, through your own mailing list, on stage at gigs and from your band blog or website. A good idea is to embed your new video into your band’s website and YouTube will provide you with the html code necessary to do this, so it is not technically hard. Along with improving your chances of being found by the use of tags, remember to name your videos in the best way for search results, usually by using exactly the same format every time. This means that anyone who likes one of your videos is likely to be able to find another to watch much more easily. The most usual format to use is the band or act name, with capital letters at the start of words, followed by a hyphen and then the song name. If you are looking to monetize successfully, then this is the best format to use. It is a good idea to ensure that your musical content is registered into a database that means YouTube can match it on any occasions that it might be used in another video. Essentially, this means that if another YouTube content provider uses your music in the background for a fashion video or a sports montage, for example, that your channel will receive a proportion of the revenue which is subsequently generated. If you want to monetize from videos, then the way to do it is with material that you own the rights to. This means writing songs and performing them well. It is possible to earn money from cover versions, but the possible copyright infringements that can occur in multiple territories means that it is much harder to make money this way. Stick to self-penned works unless you are a whizz with music publishing already. As well as providing original audio, shoot your music videos yourself. Many music videos are quite bland, visually speaking, so get creative on this side, too. If you are limited on budget or time, then a lyric video can be a great place to start. Read more about how you can create one at https://www.loudup.com/LyricVideo. When you have started to generate interest in your channel and some money is starting to flow in, you will get an idea of what your audience is liking – and what it is not. Use the excellent YouTube metrics to analyse at which points people turn off and what piques their interest. If you can repeat what is good and do away with what is not, then your channel will becoming increasingly popular, affording you more exposure and earning potential, as a result. Once you have built up your audience to an extent, some established networks might start taking an interest in what you are doing. It can even get record labels interested, as well. If you want to take it to then next level, then you might be able to join a YouTube network, like Maker Studios or Fullscreen. Both these networks can be good for leveraging your videos and help you to achieve higher rates that advertisers are willing to pay.